Happy Memorial Day weekend to my American readers! I hope everyone is enjoying their long weekend (and the official/unofficial start of summer). 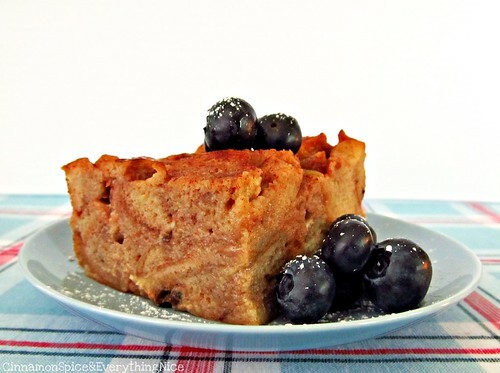 Today, I'm sharing another bread pudding roundup. Thank you to Maya at Foodiva's Kitchen for being my most loyal participant, haha!! Bread pudding lovers gotta stick together ;-) I hope you enjoy this month's bread puddings, and I look forward to the wonderful creations during next month's Club. Also, starting Monday I will be hosting my second annual Tea Week, so prepare yourselves for 5 days of tea love!! And PS there will be a super fun giveaway at the end of it all! *Hint hint* it's perfect for summer!